It’s like choose your own adventure only it’s choose your own breakfast cookie! Choose between making these three breakfast cookie recipes OR make all three. I made 12 dozen total on my last freezer cooking day. Enjoy BIG Cran-Carrot Breakfast Cookies, BIG Cherry Nut Spice Breakfast Cookies and BIG Peanut Butter Banana Breakfast Cookies. These also freeze wonderfully and are a perfect make ahead freezer meal! 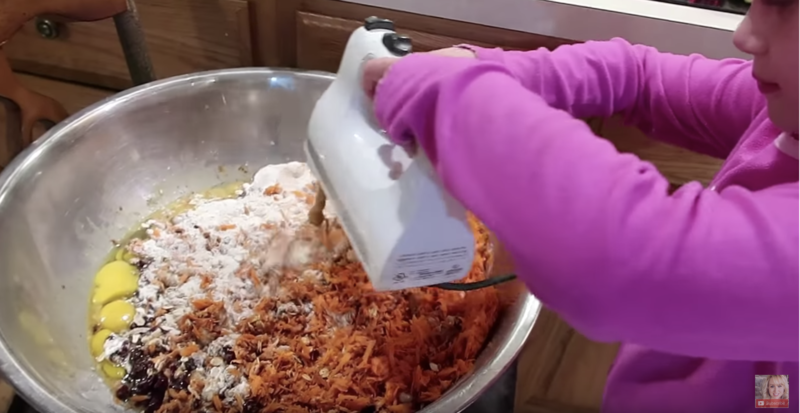 makes 4 dozen BIG breakfast cookies! Mix the ingredients of your chosen BIG breakfast cookies listed above. On a sprayed baking pan form 2-inch balls of mixed breakfast cookie ingredients. Bake at 350 for up to 15 minutes. Once baking is complete allow cookies to fully cool. Eat from fresh or freeze breakfast cookies for up to 3 months. 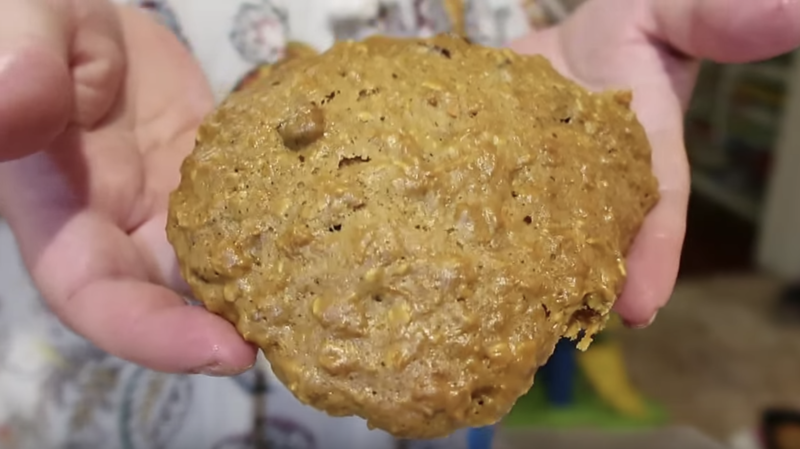 Click here to watch the full video that features these BIG breakfast cookies here! 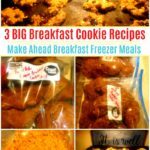 To use these make ahead breakfast cookies from frozen just get the bag of precooked breakfast cookies out from the freezer into the refrigerator the day before you’d like them.